An article was published that made people think I had been negligent and unreasonable. In fact, the article was factually false. Rather than ignoring expert advice as the article charged, I had followed a structural engineer’s advice to the letter. Structural Engineer’s Report and Advice. Christopher Alba , the author, received a check for $1,665 from the Condominium Association which benefited from his false account. I didn’t see him do any work, other than the article. Our condo insurance didn’t cover privy pits and the Condominium Act doesn’t require an association to share costs of a unit’s broken sewer pipe. So, it appears that for $1,665, Alba wrote that the problem was a broken sewer pipe. Subsequently the Association paid nothing toward remediation and charged me $12,000 in legal fees to have Sommer Law Firm parrot Alba in saying it was a broken sewer pipe. I wanted to be heard in court, but no, Judge Hall said the story was “opinion” and protected as Free Speech. He dismissed “for failure to state a claim upon which relief could be granted.” He wouldn’t let me produce evidence of the pit or amend because, he said, the jury instructions made amendment useless. But this is not what the case cited in the defamation jury instructions says. 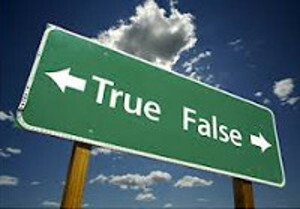 The actual case says there is no value in false statements of fact and they are therefore not protected. Read the case law. My reputation was ruined despite the fact I had carefully done exactly as the structural engineer advised. If the outdoor toilet pit had not been under the pipe and subsided, the pipe would not have broken. If my thinking had not been slowed by extended exposure to hydrogen sulfide from the outdoor pit, I think I could have fought and possibly won. 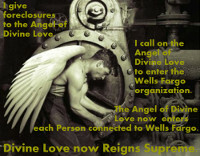 Instead, foreclosures began. When I was a Realtor I had a good reputation; Alba’s article made me sound bad. I was the only one in Santa Fe with an outdoor toilet pit under my home so people who knew me and my situation knew the article was about me. I became reclusive after the article was published, no longer wanting to go out for fear of being pointed at by people who believed the false article. It therefore changed my life dramatically. My Complaint is patterned on ones in “COA” (Causes of Action) by Sheppard, so I’m confident in its essential elements. 1. Plaintiff, Karen Marie Kline, is an individual and resides at 729 W. Manhattan, Condo #3, City of Santa Fe, County of Santa Fe, State of New Mexico. At all times pertinent hereto, Plaintiff has been engaged in being a land lady to provide the income she lives on. 2. Defendant, Christopher Alba, is an architect, licensed contractor and columnist who styles himself “Forensic Architect” when he authors a monthly column published by The Santa Fe New Mexican in its Santa Fe Real Estate Guide. He has worked in Santa Fe at all times pertinent hereto. 3. Defendant, Environetics Incorporated, is Christopher Alba’s business organized as a corporation under the laws of New Mexico and registered with the Corporation Commission. It’s principal place of business has been at 468 W. Water Street, City of Santa Fe, State of New Mexico at all times pertinent hereto. It’s name is given at the bottom of the defamatory column and is given in bold print, the appearance being that the corporation backs the defamatory statements written and given for publication by Christopher Alba. 4. Defendant, The Santa Fe New Mexican, a newspaper corporation, is organized under the laws of the state of New Mexico, and has had its principal place of business at 202 E. Marcy Street, City of Santa Fe, County of Santa Fe, State of New Mexico at all times pertinent hereto. Defendant newspaper publishes its Santa Fe Real Estate Guide on the first Sunday of each month as a large sized insert with a full color glossy cover. “Forensic Architect” column which that month was titled, “On the consequences of ignoring expert aid,” defaming Plaintiff, injuring Plaintiff’s business, injuring her ability to collect the right and proper shares of the costs of excavating an old outhouse pit that was in the common area owned by all of the condominium owners in common, injuring Plaintiff’s reputation, and causing Plaintiff severe distress and emotional suffering. A copy of the column is attached hereto and is incorporated by reference herein. 6. Defendant newspaper published the defamatory statements with actual knowledge that they were false, or with reckless disregard as to their truth or falsity, or negligently. 7. Plaintiff is not a public figure and is not involved in any public controversy in connection with her profession, trade, or business. Defendant’s defamatory statements do not involve a matter of public concern. 8. Defendant Alba doing business as Environetics Incorporated intentionally provided for publication defamatory statements in his/the newspaper’s “Forensic Architect” column appearing in Santa Fe Real Estate Guide, which statements were known to be false, were malicious in both the legal and the dictionary senses, and without investigating the veracity of the statements. 9. Defendant newspaper intentionally published Defendant Alba’s defamatory statements in it’s Santa Fe Real Estate Guide’s “Forensic Architect” column, which statements were known to be false, or without investigating the veracity of the column writer’s statements. 10. The statements of Defendant Alba, the column writer, were false and injured the plaintiff in her business and in her contractual relations as protected by the Condominium Act. 11. The plaintiff suffered emotional distress and a severe blow to her business and contractual relations with the Condominium Association as a result of the defamatory statements published by the defendant due to the fact that the Condominium Association relied on Defendant Alba’s statement that the real problem was a broken sewer pipe and bilge from it which might extend 15 feet deep. See column. 12. As a result of Defendant Alba’s statement, the Condominium Association copied to Plaintiff the part of the Condominium Act which says sewer pipes are not common elements, and that therefore all the costs were Plaintiff’s. Exhibit A, second paragraph. 13. In fact, the outhouse pit extended 10 feet deep, and contained many different old bottles, none of which could have been flushed down a toilet, and which type of bottles are commonly held to be evidence of an outhouse pit. In fact the excavation of the pit was never 8 feet wide as Christopher Alba wrote and had published. 14. There is a structural engineer’s report identifying the outhouse pit as such, see page 4, paragraph numbered 5. Exhibit B. 15. The soil analyzing (Geo-Test) company’s report says the soil from the location of the pit was such that the structural engineer could say that there was on old outhouse pit. Exhibit C.
17. Plaintiff had known that in August she would not have rent from one of her tenants who would be leaving and who had paid first and last month’s rent at the beginning of the lease. 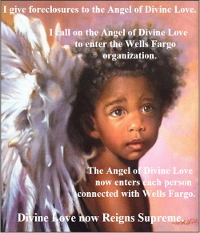 So, Plaintiff had gotten in May an equity loan to cover August so that her mortgages would not fall into arrears. Now, all of the equity loan has had to be used to remedy the old out house pit which was a health hazard not only to Plaintiff but also to neighbors. 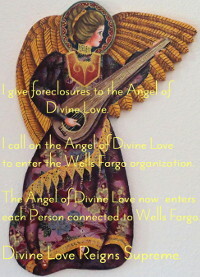 As a result of using the equity loan for the old privy pit excavation, which was in fact a common area problem, Plaintiff’s mortgages are all falling into arrears and Plaintiff is in fear and distress that her properties will be foreclosed and that her credit report is being ruined. 18. Without being able to make her mortgage payments, Plaintiff is in fear of and may actually lose her property which is two rental units which support her (giving her $300 a month after payments of the mortgages) and her home. These properties are valued at over $500,000. If forced to sell one or more of them, the loss of future appreciation will far exceed $500,000. 19. If forced to sell, Plaintiff will also lose all rental income for any sold property and she should be reimbursed for that loss. 20. Last month Plaintiff had to get an expensive short term loan to pay one of her mortgages. The cost of that loan was about $320. 21. The damages listed above are the responsibility of not only Alba, but also his corporation under which name he does business, and The Santa Fe New Mexican which publishes the Santa Fe Real Estate Guide which published Christopher Alba’s defamatory and libelous statements. These costs would not be Defendants responsibility but for the fact that by writing and publishing defamatory and false statements the Defendants stopped the Manhattan Condominium Association for paying their proper shares of the costs of common area problem resolutions and remedies. 22. Other defamatory statements include several statements equating Plaintiff’s health problem of trouble breathing as being her negative reaction to costs. 23. Plaintiff will produce doctor’s reports that Plaintiff’s trouble breathing was related to swelling around her sternum caused by the hydrogen sulfide, and that the swelling would be reduced by taking Celebrex, which was in fact the case. 24. Other defamatory statements include writing and publishing that to save money Plaintiff hired a couple of immigrant laborers. 25. Plaintiff will provide evidence that she paid them what the non-immigrant backhoe operator had asked, except the backhoe operator’s verbal quote was “to start” and included the statement that Plaintiff’s wisteria (decades old) would not be able to be saved. 27. Plaintiff will provide evidence that the hotel to which she went gave her a large discount, allowed her to have her cat, provided breakfast, was close – which was very important due to a medical problem Plaintiff has as a result of her B12 malabsorption illness, and allowed her to check in immediately, which none of the hotels on Cerrillos Rd. which Plaintiff called would allow her to do, saying she had to wait until the proper check in time, which was many hours later, and Plaintiff at the time was feeling very sick and her cat was dragging herself and throwing up. 29. Plaintiff will provide evidence that she hired the plumber and paid what was asked without appearing to the plumber to have difficulty breathing. 30. Other false statements include writing and publishing that Alba’s plan was to follow a plan of “least cost” whereas in fact, when his plan was emailed to Plaintiff it said it would cost 4,200 plus, though the actual numbers in the email showed the amount as forty-two thousand dollars plus; to get permits (permits were already in place and evidence of this will be provided), safety barricades (which were scheduled); shoring (because he wanted to hand fill and hand tamp every eight inches, the ten foot excavated pit) whereas the structural engineer had suggested flow fill (see Engineers Inc. report, Doug McLeod’s hand written part on page 4) which could be poured in minutes and cost around $600; plumbing repair (which was already scheduled with the original plumber. Alba’s plan was totally devoid of the most important immediate action which Plaintiff had requested, which was to seal the sewer pipes so that hydrogen sulfide from the city sewer would stop coming out right there and creating a highly toxic environment. In fact Plaintiff had the pipes sealed on Monday by a friend, following Alba’s visit on that Saturday. 31. Although Defendant Alba did not use Plaintiff’s name, his description was clearly of Plaintiff and was clearly recognizable to anyone who lives near Plaintiff and could see the ten foot hole, to the Condominium Association, to all the numerous people Plaintiff had told about the outhouse pit problem, to all the people who had worked here, and to anyone in the future to whom Plaintiff might speak about the horrible problem this outhouse pit has been and who remembered Alba’s article. 32. Defendant Alba’s statement, “It was her compulsion to control every event and person she came into contact with that would get her in the end,” is not only defamatory it sounds like a threat for not hiring him; now that the Condominium Association relies on Alba’s statements that the “real culprit” was the broken sewer pipe, and refuses to pay any of the excavation costs that Kline has already covered, it appears that Alba is making his threat real: he is getting me. 33. 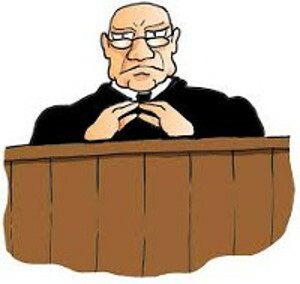 The Defendant newspaper published all of the above defamatory statements which it knew to be false or failed to verify. 34. On or about July 19, 2003, though the letter is undated, Manhattan Condominium Association wrote, “There is no evidence that the land under your unit was previously used as a privy,” Exhibit A, and they offered only $1,500 to be paid to Plaintiff’s contractor when it was patently evident that Plaintiff had not ever had a contractor because she barely had the money to remedy the extreme health problem without the added cost of a contractor. 1. Damages in the amount of $10,000, or a higher amount if such proves accurate, as compensation for injury to Plaintiff’s contractual relationship with the Manhattan Condominium Association, as protected by the Condominium Act, wherein the costs to remedy the outhouse pit problem which involved serious health hazards not only for Plaintiff but also for neighbors, was a common expense because the outhouse pit was in the common area. 2. Damages in the amount of $320 for the high price loan Plaintiff had to get to pay her mortgages last month (September, 2003). 3. Damages in the amount of $2,000 for Plaintiff’s health care necessitated by the hydrogen sulfide and the extreme emotional distress. 4. Damages in the amount of $250,000 for Plaintiff’s future health care necessitated by the hydrogen sulfide, and if Plaintiff’s problems with balance which have been causing her to bump into things and to fall make it clear that in the future she will have to reside in a full care residence for older people who are sickly, then a much higher amount, to be determined at trial. 5. 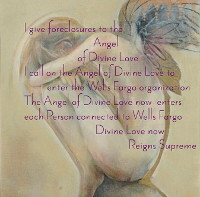 Damages in the amount of $500,000 for the loss of Plaintiff’s property through foreclosure, if during the course of this litigation foreclosure takes place; if only one property were foreclosed then the value of that property as determined by the highest appraisal, would be paid to the Plaintiff. 6. Damages in the amount of $500,000 for injury and damage to Plaintiff’s reputation. 7. Damages in the amount of $500,000 for Plaintiff’s emotional suffering. 8. If number 1 and number 2 should be called “Special damages” then this paragraph is meant to identify them as such. 10. The remedy of canceling the “Forensic Architect” column so as not to continue to imply that Christopher Alba is a highly reputable person in terms of what he writes. 11. Costs and such other relief as this Court may deem proper.